Denmark was the first of our cruise stops when off to the Baltic, and going under a bridge when you are in a ship that is the size of a small town is impressive. 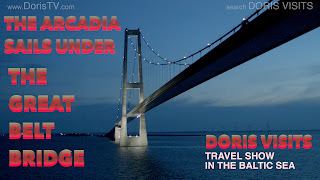 Here is The Great Belt Bridge, it is worth a watch even if you are not a fan of bridges. The Baltic Sea was like a mirror, calm and the ship never rocked. With many stops along the way we have films in the edit to last weeks, but our first stop was Copenhagen. Here are the films. The Little Mermaid is a well known Disney film, but how many people have read the dark disturbing book which is nothing like the film. Not many we guess. 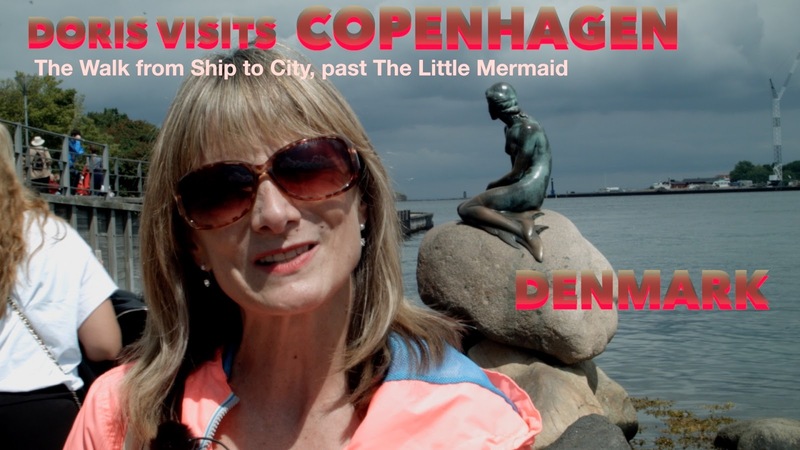 The statue of the Little Mermaid is a huge tourist attraction in Copenhagen, but as the tourists flock to have their picture taken by the statue they are often looking at themselves and not noticing that the Little Mermaid is not smiling, no, far from it. 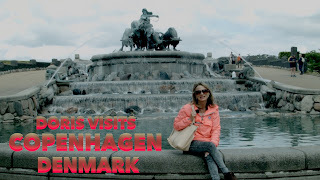 We walked to the statue, then to the Royal Palace then found 'probably' the best cheesecake in the world... here is where .... Click here. 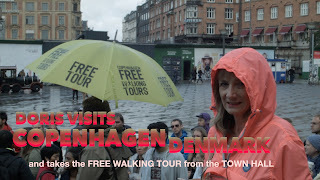 One of the great thing about Copenhagen is the free city walks. They are fantastic. It is a collective of guides and the walks are all clearly listed on there web site. Click here for their web site. The rain shower passed and the walk was mainly in the sunshine, I try and repeat just a portion of what is on offer, but Jarrad was fast and funny and informative and had time for everyone. So, Denmark is famous for beer .... and we never had time to stop and have one. But, the guys also have a free evening pub crawl which I can imagine is a scream. Click here for a glimpse of the tour. Keep an eye out for the other DORIS VISITS films on the Baltic cruise ... there will be many.